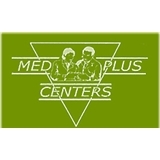 Med Plus Centers (Miramar) - Book Appointment Online! I was very pleased with the focus and attention given to my condition. It doesn’t seem like I’m injured but I really am and he took all the necessary steps to see it through and get to the bottom of it. Everyone in his staff is very nice, knowledgeable, clean and helpful. I was greeted with friendly attitudes and it’s a happy work place that I like being a new customer to.